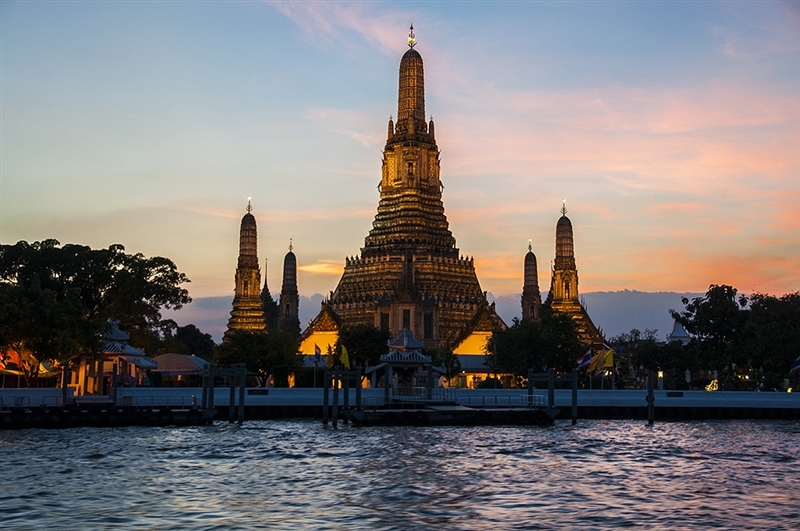 The name “Bangkok” evokes many connotations but one thing is certain, this thriving metropolis is one of the focal points in Thailand for guests who are looking not only for rich heritage but also for a wealth of tourist attractions and ample local flavor. This bustling Thai hub has everything for urban jungle lovers, from art galleries, museums, restaurants, cafes, theme parks, cinemas, theatres, cabaret shows, golf courses, biking tracks, supreme spa treatments and finally, a wealthy nightlife. An impressive skyline of this canal city is definitely worth seeing, although the undeniable hustle and bustle of Bangkok may not suit those looking for a serene retreat. 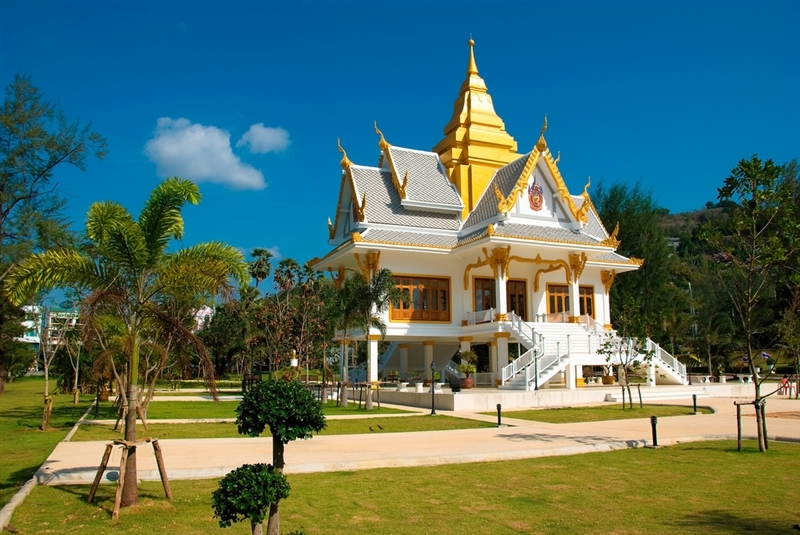 There are many festivities taking place annually in the capital so whichever time you choose for your luxury charter vacation, you will be pleased to spend it in Thailand. Between the island of Phuket and the mainland province of Phang-Nga lies the Phang Nga Bay, whose vast section remains protected under the Ao Phang Nga National Park. The bay is an exquisite sailing ground boasting limestone cliffs, subsided cave systems as well as many archeological sites found around in the bay’s surroundings resulting from the past of this landmass. Thousands of years ago when the sea level was much lower, it was possible to walk over from Phuket to Krabi which is why the area is now filled with natural findings. 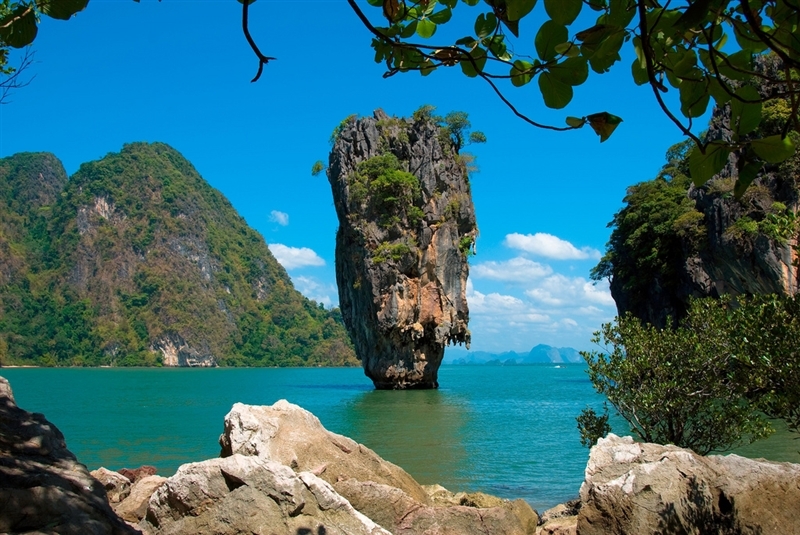 Sail your luxury charter catamaran or your luxury charter powerboat to the island of Ko Tapu, also known as James Bond Island. This natural attraction is nothing more than a 66 foot tall picture-perfect limestone rock dropped in emerald green waters that was featured in the 1974 motion picture “The Man with the Golden Gun”. Ko Panyi is a fishing village in the province that is known for having been built on stilts by Indonesian fishermen. Once solely an angling village, Ko Panyi is now open to tourists offering them a number of premium seafood restaurants making it a wonderful stop for lunch. Phuket is Thailand’s largest island approximately the size of Singapore and is conveniently connected with mainland by two road bridges. Once located on one of the major trading routes between India and China, it was frequently mentioned by sailors from Portugal, France, the Netherlands and England. The island’s main activity is tourism and although many major resorts were destroyed by the 2004 tsunami that ravaged the region, they were recovered very quickly and are now in a better shape than ever. Phuket Town on the eastern shores is not any usual provincial town that you will find in Thailand. It is a historically rich quaint urban region plenty of old colonial Portuguese charm intertwined with Chinese influences seen in temples, museums, restaurants and cafes. Stop by the Phuket Amulet Market supplying the predominant Buddhist population in this essential ornament and stroll through Phuket’s Old Town populated by a mix of nationalities creating a wonderful mingle of spells. The Sino-Portuguese architecture of Phuket Town nestled in lush vegetation unveils colorful facades that house private residences, museums and restaurants. 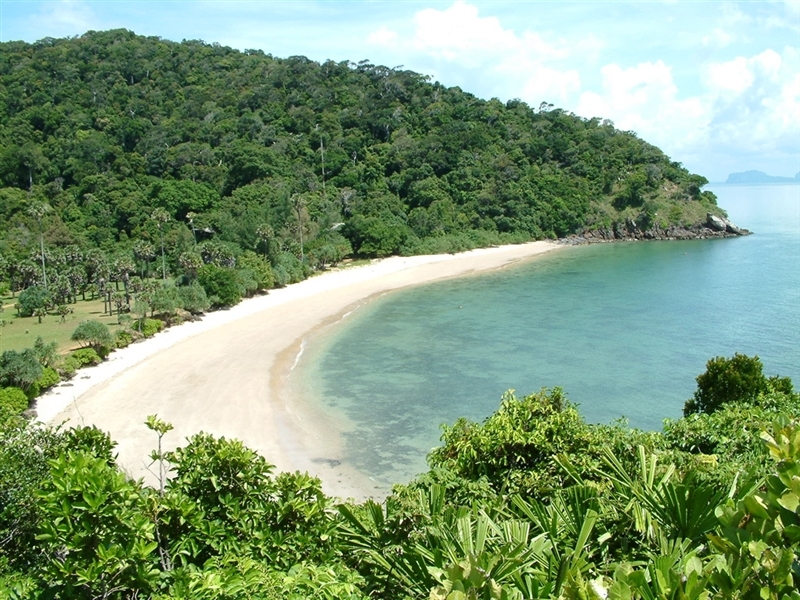 Just at the tip of Phuket Island sits Nai Horn Beach, one of the most popular places with yachting enthusiasts who choose to halt in Phuket during their luxury charter vacation. Although it is a popular stopover during the high season, it remains a tranquil area with only a few luxury resorts including the Royal Phuket Yacht Club which promises an unforgettable dining experience in one of the waterfront restaurants as well as marvelous enticing body treatments in the Spa Center. It is best advised to sail your luxury charter catamaran or luxury charter mega yacht in high season, that is November through to April. Snorkelers and divers will be pleased to penetrate further down south to Ya Nui where charms of the sea will enchant them. Administratively part of the mainland Krabi province, Phi-Phi Islands are a couple of immaculate juts of land that have only recently been discovered as charming tourist attractions. This remoteness and natural sincerity of the region is the reason of its increasing popularity among luxury charter guests. There is absolutely no better way to discover Phi-Phi Islands on your luxury sailing catamaran or luxury charter sailing yacht that will take you from your previous location to this chunk of paradise that emerges from the sea like an impressive bastille. Phi-Phi Leh, the southern island, rests completely uninhabited, while Phi-Phi Don is deprived of roads which makes it a charming rural location free of any commotion and flurry associated with urban regions. Phi-Phi are exquisite for snorkeling and diving in immaculate and crystal-clear waters populated with rich submarine life and corals but charter guests are also welcome to try cliff jumping, biking, hiking or dining in premium restaurants. In the evening, hop back onboard or opt for a relaxing massage in one of the luxury resorts. Southeast of Phuket Island and just to the south of the mainland province of Krabi lies the Koh Lanta Archipelago consisting of two major islands, Koh Lanta Noi and Koh Lanta Yai, among countless small islets. The southern island boasts a stretching coastline of remarkable white sandy beaches, memorable breathtaking scenery, lush verdant forests, vibrant coral reefs and rich submarine flora and fauna. The best time to visit Koh Lanta is November through to April, therefore a winter charter in Thailand with Sunreef Yachts Charter will be an utter dream come true. Jungle trekking, horseback riding and beachcombing are just some of the activities that will make your head spin as you penetrate the island. Prepare to be swept away by the archipelago’s natural beauty surrounded by sparkling emerald waters ideal for a relaxing swim or before-lunch snorkeling. No, no luxury charter holiday can pass without a visit to this eastern province, a lusciously verdant slice of heaven whose natural beauty makes every little corner of the region worth exploring. What you get in return for debarking on the magnificent shores are omnipresent brilliant turquoise waters, exotic offshore islands, stretching powdery beaches and a wealth of vibrant marine life. 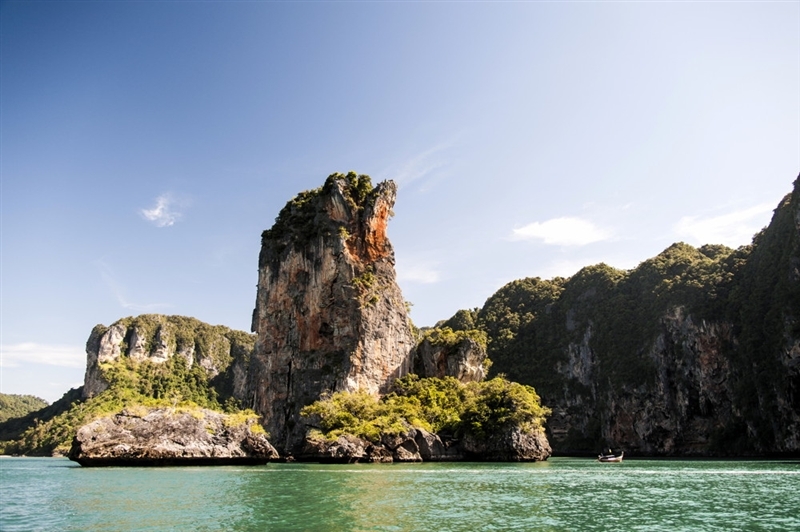 Whether charter guests choose to visit caves of crystalline formations, go island-hopping along the coast, visit the Krabi Hot Springs or one of the many nature preserves in the region, you will surely run out of time to see it all! Sail your luxury charter mega yacht or your luxury charter catamaran towards Chicken Island named so after a bizarre rock formation located on the island that represents the head of a chicken or an ostrich. One side of the island consists of steep cliffs while the other side sports magnificent beaches lining a peninsula. 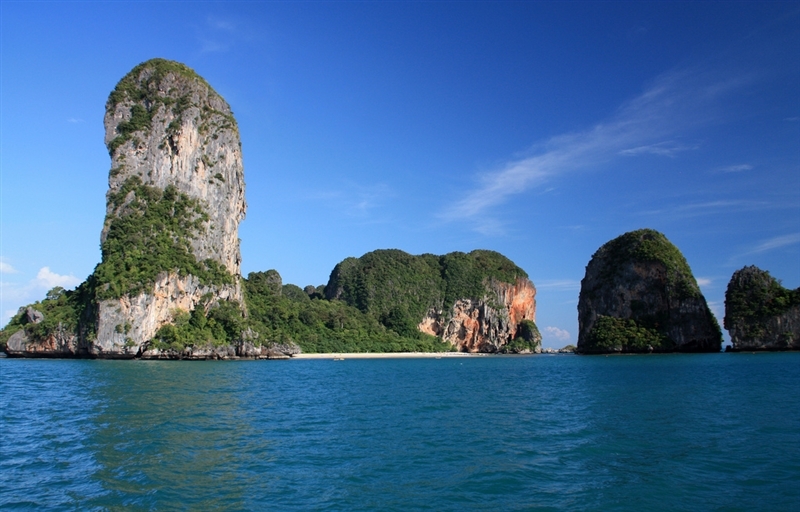 Krabi offers all attractions desirable during a luxury charter, be it diving, snorkeling, rock climbing, sea kayaking, bird gazing, fishing, jungle trekking and more. The shoreline is paved with luxury hotels and resorts offering fabled Thai massages soothing the senses. Plunged in the Phang Nga Bay between Phuket Island and mainland Thailand, Koh Yao Noi and Koh Yao Yai are two islands that seem to have been made for outdoor fun and relaxation. 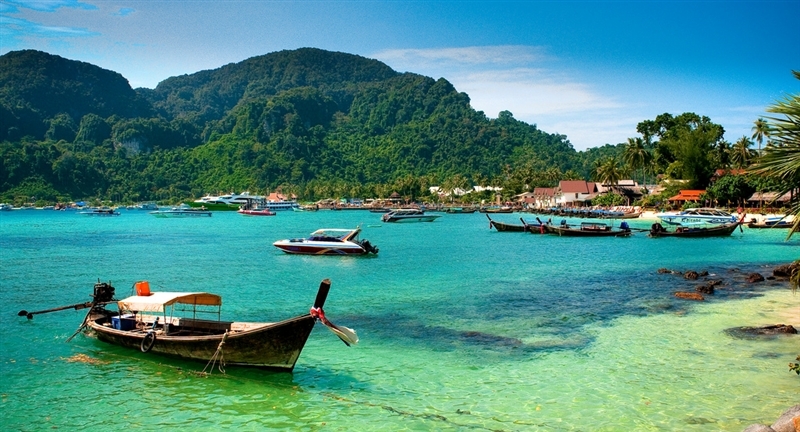 Although the islands hint at a constant development, they rest relatively immaculate and far less bustling that Phuket. 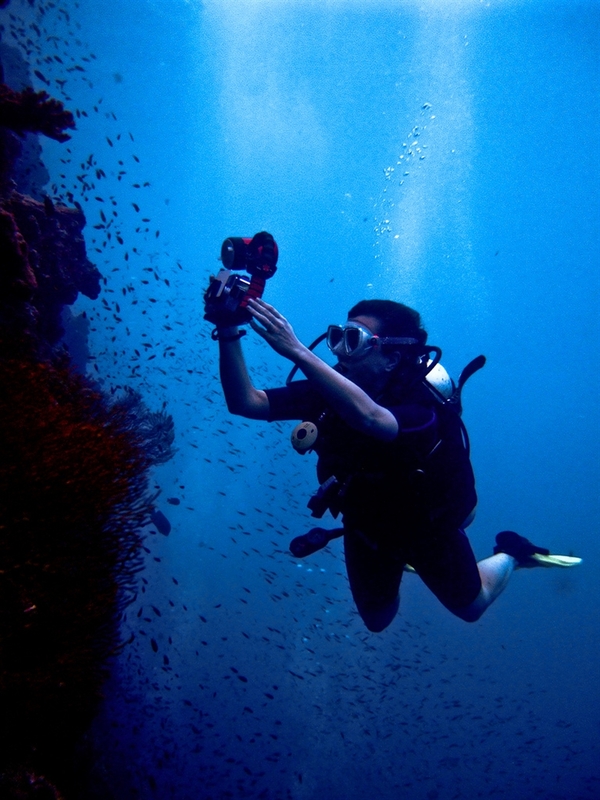 Koh Yao are a gorgeous port of call for charter guests who wish to venture into the wild. Participate in numerous agricultural demonstrations including rubber and fishing, or go swimming, snorkeling, kayaking or hiking. The moment charter guests reach ashore, they will quickly soak up the casual ambiance of the islands. The islands’ western coast is carpeted with luscious rice fields and is lined with imposing mangroves, while the eastern part houses premium beaches. 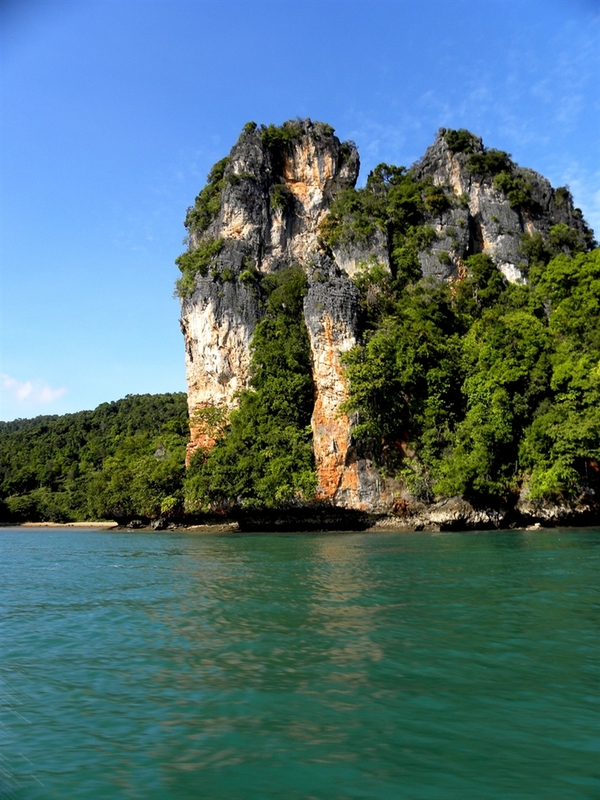 One of the notable islands and islets worth visiting while in Krabi is Koh Hong. 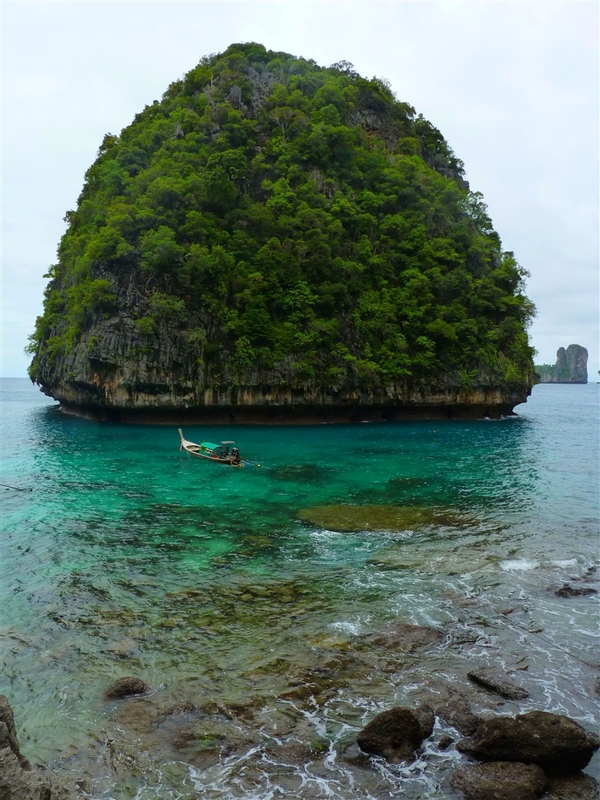 Located only 15 miles off the province’s coast, Koh Hong is a genuine promise of a pristine afternoon spent discovering nestled lagoons home to vibrant tropical fish that are ready to eat anything visitor are willing to offer. Sea kayaking gives the opportunity of gliding through heavenly shallow and crystal flat waters, discovering mysterious caves normally inaccessible to larger boats and meeting permanent inhabitants which include sea eagles as well as star fish. The integrity of the island’s territory is a preserved national park making it a perfect ground to recharge your batteries. When you choose to visit Thailand aboard your luxury charter yacht, there is no way that you can miss a replenishing Thai massage, a technique known all over the world that is nonetheless best to be tried no where else than in its country of origin. The massage was once considered one of the branches of natural medicine believed to have healing properties for all sorts of ailments. Choose one of the luxury resorts to offering spa treatments and massages and take advantage of this ancient practice after which you will feel like a newborn. 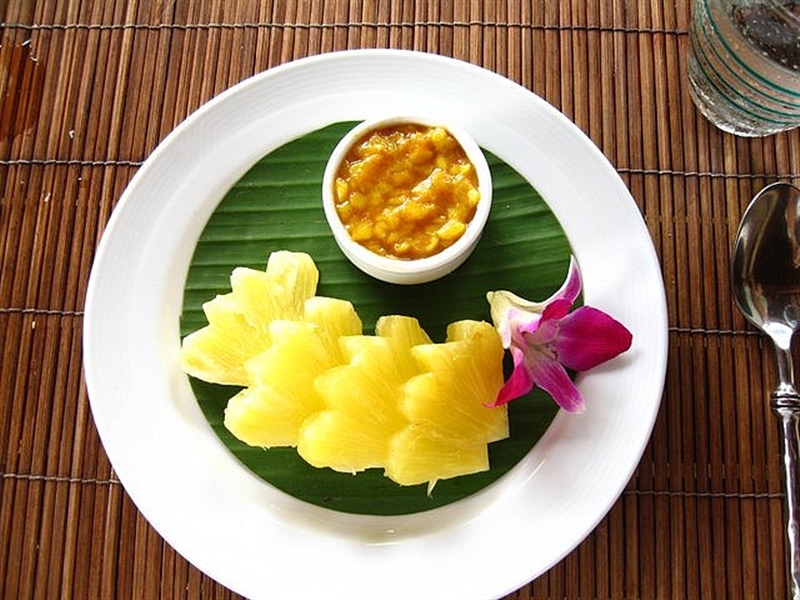 Thai cuisine is delicious, beneficial and based on contrasts. Each Thai meal must be composed of four fundamental tastes: sweet, sour, bitter, and salty. Well balanced and with an emphasis on fresh ingredients, Thai dishes are foremost light while this splendid blend of contradictory flavors is the key factor that Thais pride themselves for and delight in. For breakfast, try chok (rice porridge) or khao khai chao (omelet with white rice often served with chili sauce and sliced cucumber), delight in fried rice with crab meat for lunch and pla neung manao for dinner (steamed fish with a spicy lime juice dressing). The dessert menu of Thai cuisine is mostly based on fresh fruit but there are also such delicacies as khanom mo kaeng (baked pudding with coconut milk, eggs, palm sugar and flour).